H+(aq) (mol L-1 H2O) as a function of [H2Optcl] (μg m-3). 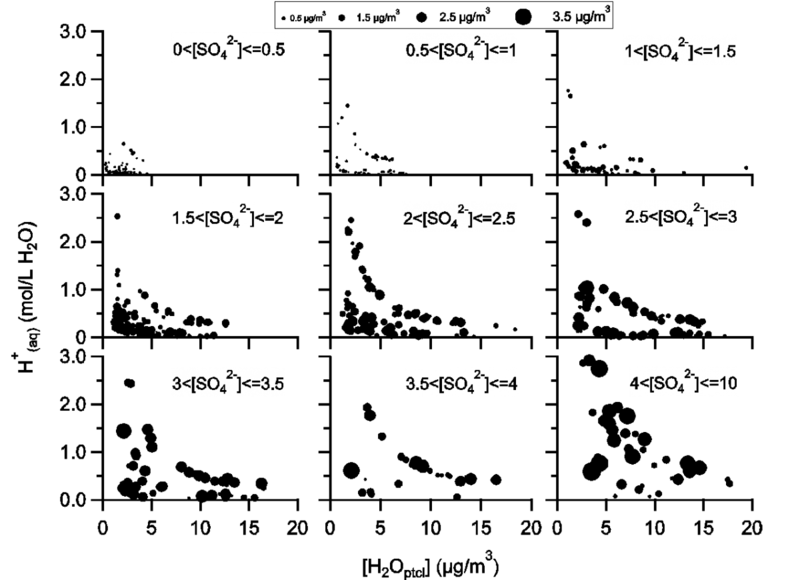 All data points are grouped into nine subplots based on a 0.5 μg m-3 increment in [SO42-] and the size of data points represents [Isoprene-OA]. Figure from Xu et al., PNAS, 2015. Link to the article. 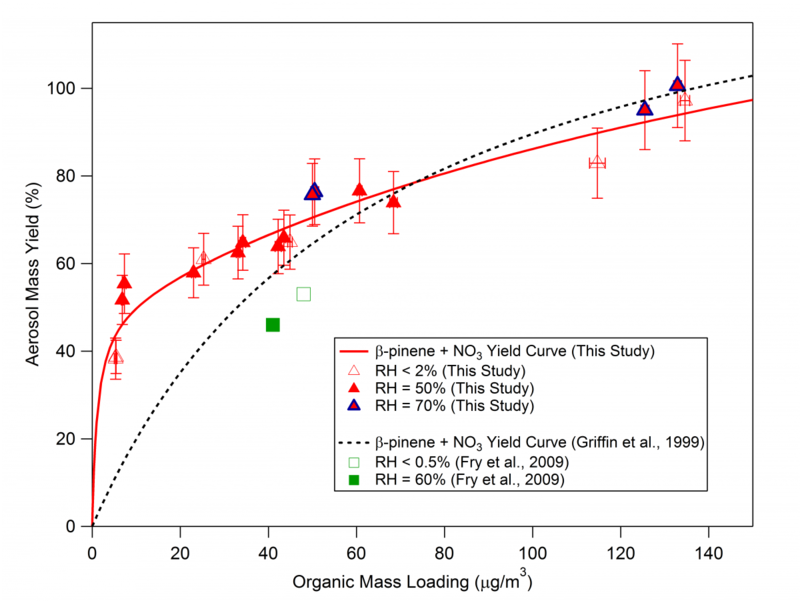 Aerosol mass yield as a function of organic mass loading for the β-pinene+NO3 reaction under “RO2+NO3 dominant” conditions. Figure from Boyd et al., ACP, 2015. Link to the article. Schematic diagram of the High Resolution Time-of-Flight Chemical Ionization Mass Spectrometer (HR-ToF-CIMS). Figure from Sanchez et al., AMTD, 2016. Link to the article. PM-induced reactive oxygen and nitrogen species (ROS/RNS) production in alveolar macrophage cells and cardiomyocytes. Link to the article.